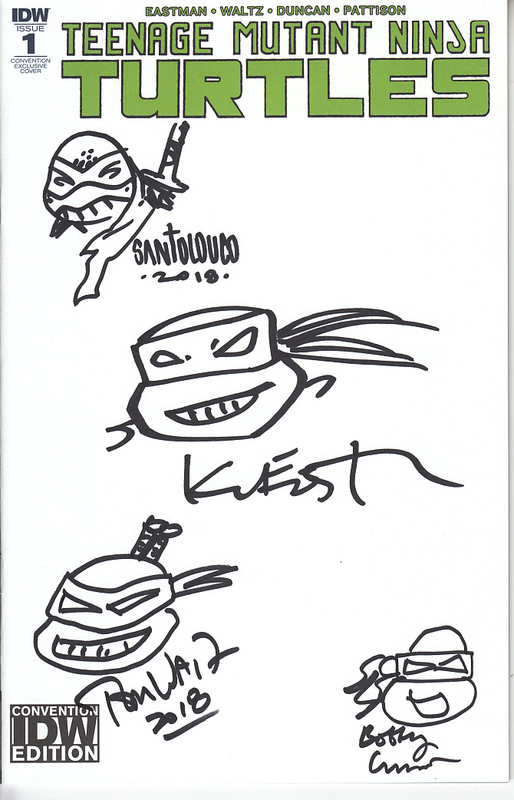 Teenage Mutant Ninja Turtles IDW 2018 Comic-Con comic book issue #1 with exclusive variant sketch cover autographed and sketched in black marker by creators and artists Kevin Eastman, Mateus Santolouco, Tom Waltz and Bobby Curnow. 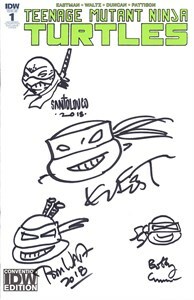 Obtained in person at very limited 2018 Comic-Con signing. With certificate of authenticity from AutographsForSale.com.